Ready for a little Monday morning beauty chat? One of my favourite weekend rituals recently has been enjoying mini at-home spa days. Just like any good DIY-spa gal would, ever since becoming more interested in non-toxic beauty last year, I’ve been doing my fair share of product testing. There have been plenty of great ones, a few not so great ones, and a few “holy crap, this stuff is AMAZING” finds. Today, I’ve got 3 clean beauty faves to share with you – and a giveaway! Lucky for all of us, it’s becoming easier to find non-toxic, safe personal care products. 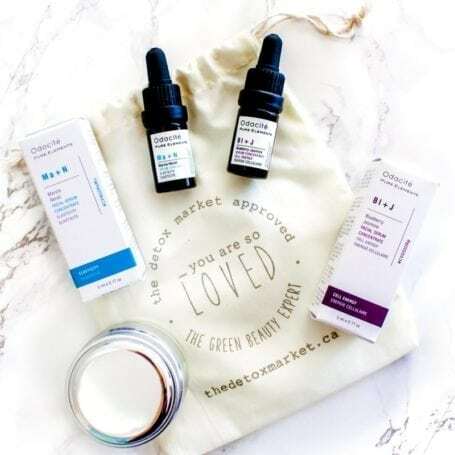 Not only are they available, but we actually have a choice when it comes to brands that offer solutions for whatever our personal skincare needs are. 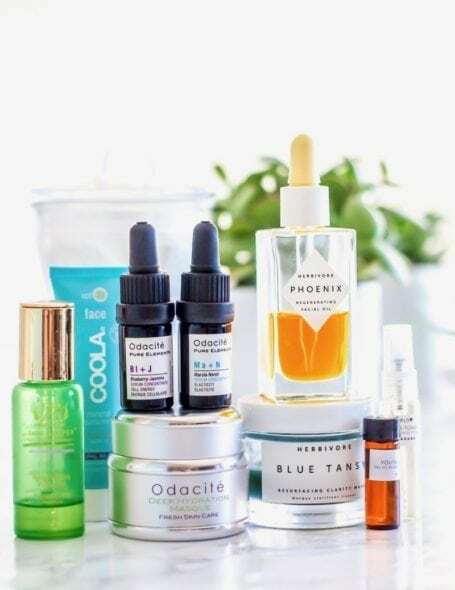 As I mentioned a few months ago with a few of my other green beauty picks, this summer I’ll be turning 30 and I’m very aware that the skin I have now is not the same as the oily, acne-prone skin of my teenage years. It makes me cringe to think about the chemicals I smothered into my body’s largest organ, and I can’t believe that some of those same drug store-brand products are still available, despite science showing the health risks from exposure. Today, the products in my bathroom and makeup bag look very different. They come from companies that are super transparent about their ingredients, going the extra mile to source the best quality, safest ones that actually get the job done. Of course, part of being able to identify these has also meant knowing what to steer clear of. Several months ago, I found reading the ingredients list on makeup and other personal care products to be incredibly overwhelming. The more I got into it though, the more I realized that, just like food labels, ingredients that are tough to pronounce or sound suspiciously like chemicals are often the ones to avoid. If you’re looking to clean up your own routine, you’ll find a list of toxic and/or banned ingredients via the Environmental Working Group’s Skin Deep database. I like to think of them as the high-fructose corn syrups of the beauty industry, but unlike high fructose corn syrup, the words are long and not so easy to remember or pronounce. 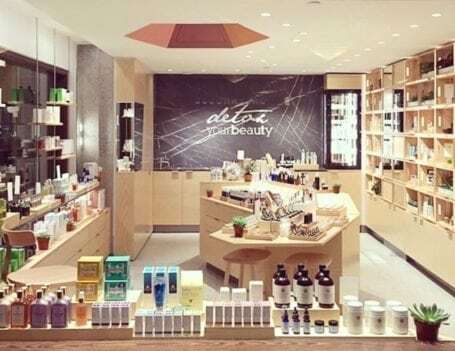 It’s because of this that I’m totally into clean beauty retailers like Detox Market, who do all the product hunting and company vetting for us. If you live in California, you may have already heard of and/or visited Detox Market. We don’t have one here in Vancouver yet, although if we do someday, I’m pretty sure I’ll be a very frequent customer! As of right now there are two locations in Canada – both located in Toronto, with one having opened very recently at Union Station. For those of us not living near Toronto, there’s also an online shop at detoxmarket.ca (or detoxmarket.com in the US), where I’ve been making countless must-try-this-next lists. The reviews from other customers have been really helpful, and if you, like me, enjoy a good makeup/skincare how-to video, their Youtube channel is amazing for this. Detox Market are very clear about the standards they maintain for the brands they carry. That means no parabens, no synthetic fragrance, no PEGS, glycols, formaldehyde, and absolutely no testing on animals. If you’re curious, feel free to read more in their safety pledge here. All this means less confusion and label reading for you and me, and more fun putting their gorgeous, chemical-free beauty treats to use! 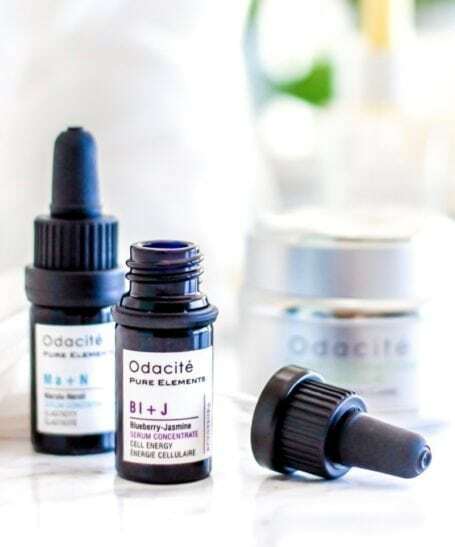 Back to my own beauty experiments, for the past month I’ve been playing with some new-to-me goodies from Odacité, one of the lines that Detox Market carries. 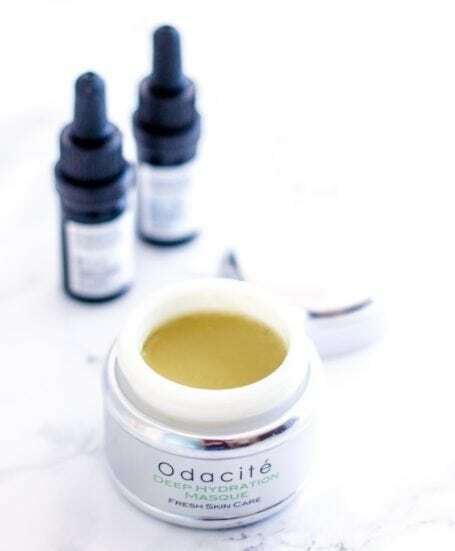 Odacité’s products are cruelty-free, PETA-certified, tested only on people, vegan and non-GMO. They don’t contain any fillers, parabens, nanoparticles, petrochemicals, PEGs, phenoxyethanol. synthetic perfumes or dyes. In other words, they make beauty products they way it should be done! 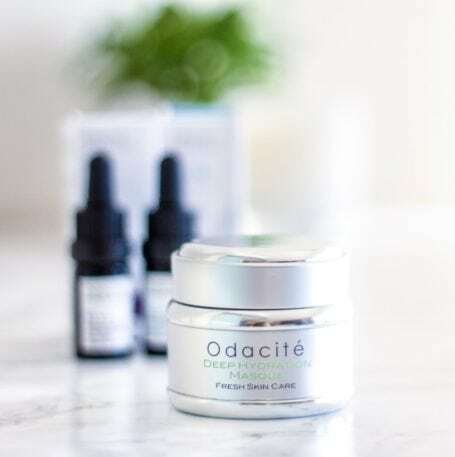 With these goals in mind, the amazing and incredibly gracious Laura at Detox Market in Toronto sent me a few Odacité products to try. Having used them for several weeks now, here’s my review of each. Marula oil was one of the first facial oils I tried upon switching to a cleaner beauty routine. I’d read about how it restores skin elasticity and protects against water loss, and at the time, my skin was not loving the cold October weather. Despite my skeptical thoughts about using facial oils (clearly acne scars have left their mark on more than just my face!) I gave marula a try. Result: no breakouts. My skin loved it, and I was hooked. 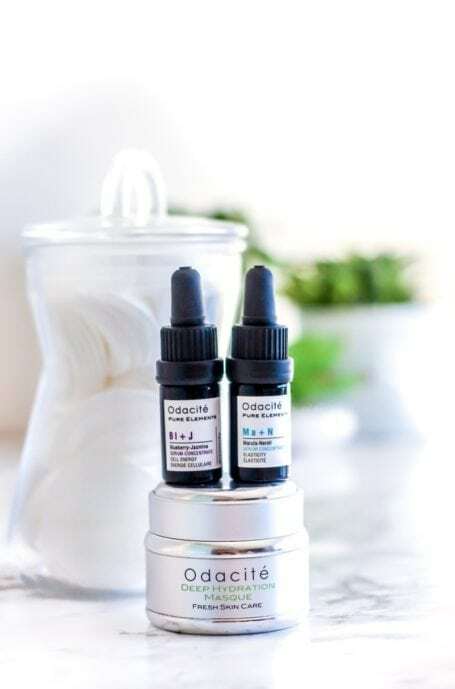 That experience is why the Marula Neroli Serum Concentrate was one of the Odacité products I was drawn to, and it’s been just as great as I hoped. The neroli and rose in the serum have a relaxing effect, making this one of my favourite products to apply as part of my evening skincare routine. 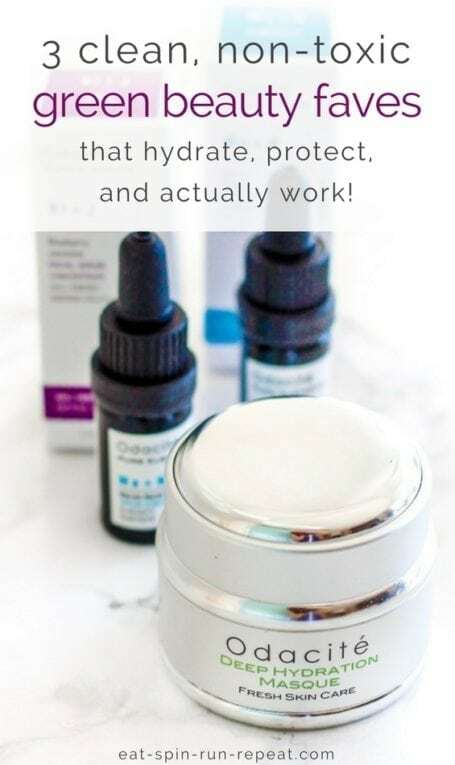 I usually like to let the serum sink in on its own for a few minutes before moisturizing, but if it’s late and I want to save time, I mix a few drops into my moisturizer and massage that into my face instead. Either way, it smells gorgeous and I love waking up with skin that still feels soft and smooth. Check out this serum here. Just like the blueberries we eat, blueberry seed oil is packed with antioxidants to repair cells and protect those under the surface. 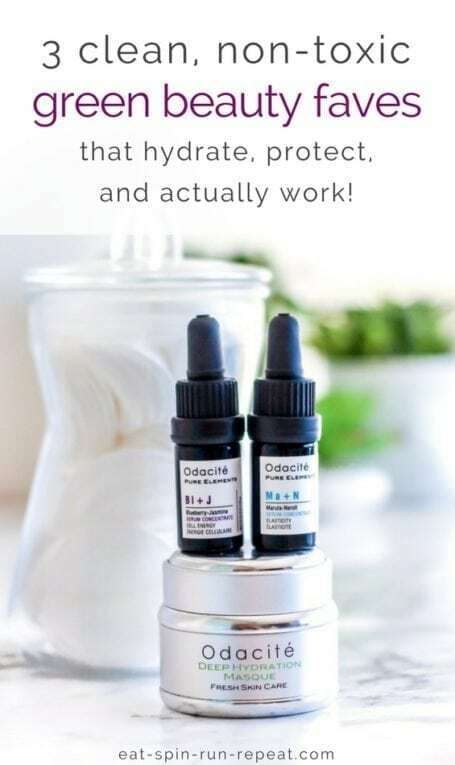 Before using this serum I knew that jasmine is often used in aromatherapy for calming anxiety, and since I’ve been experiencing a little more of this than usual lately, I was so thrilled to see it in the list of ingredients. I like to apply this one in the morning after I’ve given my skin a gentle cleanse, and if you walked into my bathroom, you’d most likely find me massaging it into my face with my eyes closed, inhaling as many whiffs of the scent as possible – it’s truly that good! At first I thought the product might have arrived past its expiry because the formula appeared to have separated, but after reading a few reviews from other Detox Market shoppers, I learned that this is completely normal (and to be expected from products with no preservatives or chemicals to bind them together.) Because the ingredients are heat-sensitive, I’ve been keeping it in the fridge an giving it a little stir before each use. Voila – problem solved! The main ingredients are aloe, olive and jojoba oils which replace the skin’s elasticity and moisture lost to environmental toxins. 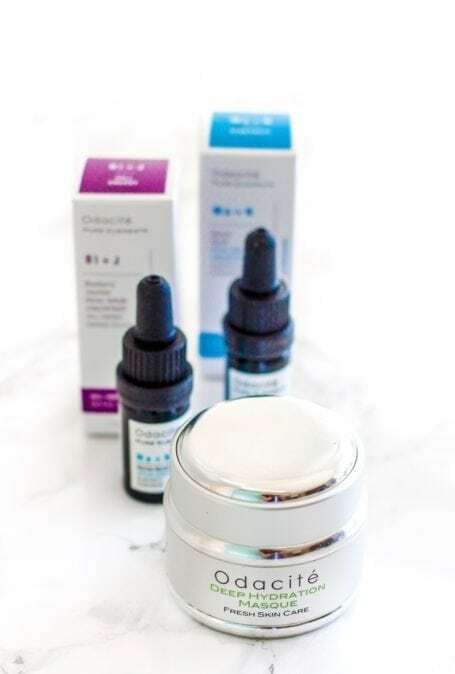 There’s also vitamin E, tea extracts and antioxidants to further fight against those free radicals, hyaluronic acid to smooth the skin’s texture, and lavender as an anti-inflammatory skin soother. So far I’ve only used this mask at night, typically after removing my makeup and giving my face a good cleanse. (I’d probably recommend rinsing it off if you plan to use it in the morning, as it does tend to leave my skin more shiny than a serum.) Moisturizer is always my last step before bed, but I’ve noticed that if I don’t rinse the mask off and treat it as a leave-on treatment, I still wake up feeling just as hydrated. Specifically on the days following my microneedling treatments, I’ve also noticed that my skin is a little on the sensitive side. 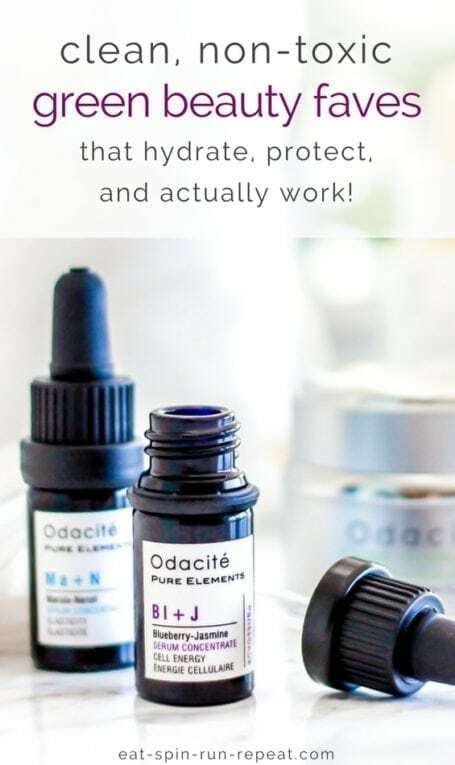 This hasn’t been a problem at all with any of the Odacité products though, and I think the lavender in this mask is part of the reason. If you’re in the market for a new treat for your face/neck – especially if you have sensitive or dry skin – I’d recommend giving this one a try. Check out the mask here. Clearly, I could talk about skincare all day. 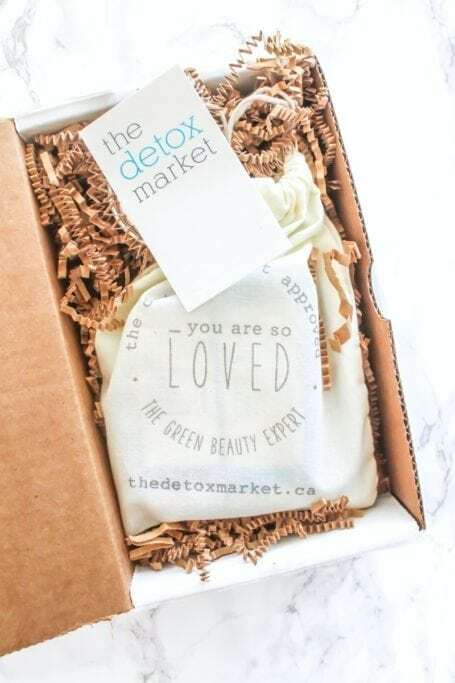 But to make this even more fun for YOU, I’ve partnered with Detox Market Canada on a giveaway so that you can experience some of the Odacité goodness for yourself! 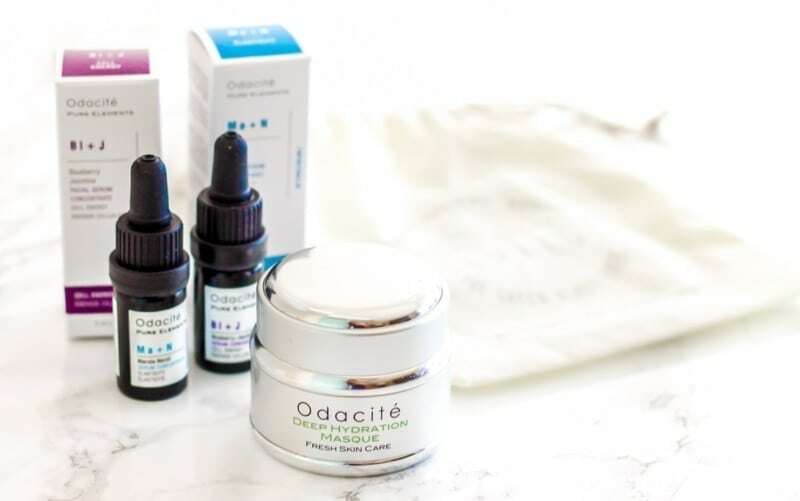 One lucky winner will receive their choice of 2 of the Odacité products mentioned above, compliments of Detox Market Canada. Hit like on this post. Comment on the Instagram post with your favourite clean beauty tip or ingredient. Tag a friend in your comment who you think would also love to win these products. Tag as many friends as you like – 1 entry per tag. Not on Instagram? No worries – you can comment on this blog post as your entry instead. This giveaway is open to residents of Canada only, and will end at 6pm PT on Thursday, March 22nd. The winner will be contacted via Instagram or email. Disclaimer: I received complimentary product in exchange for my review of these items, but as always, the thoughts and opinions expressed are 100% my own. You can always trust me to be honest in all content shared here on the blog, and know that I will only endorse products that I 100% stand behind. Thank you so much for supporting Eat Spin Run Repeat and the companies I choose to partner with. 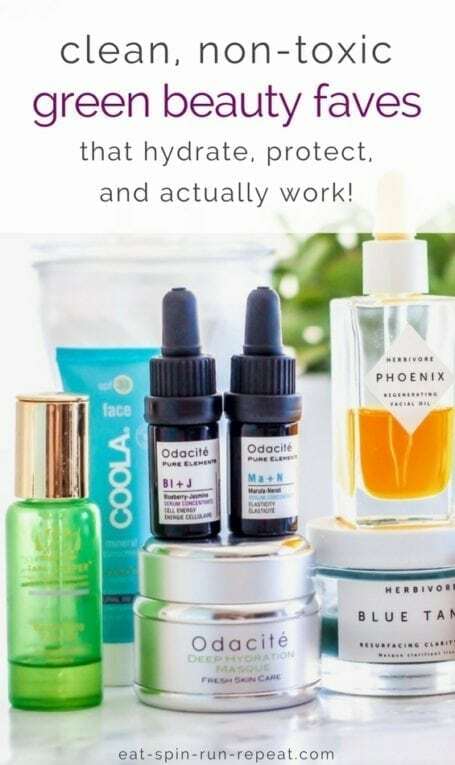 These products look amazing! Would love to try them!